Gro-Sure Vermiculite is a naturally occuring mineral which has been heated to high temperatures to produce lightweight, absorbant flakes, perfect for a range of gardening tasks. 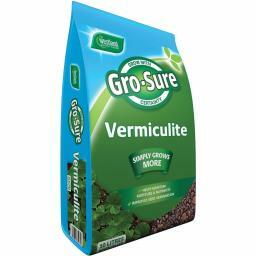 Gro-Sure Vermiculite encourages strong, healthy seedling growth and establishment. 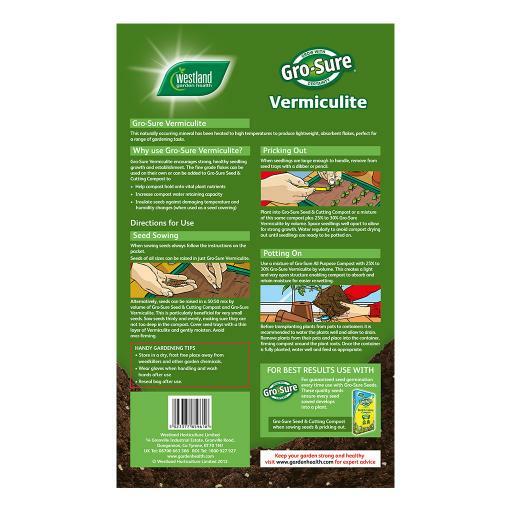 Vermiculite absorbs nutrients, preventing them from being washed out and then releases them as required to plant roots.